I can't speak on how he looked in Arizona or with the Chargers, but here he was always that guy who would make a couple of splash plays here or there (good scheme + he's a gambler), but was otherwise way too inconsistent to be relied on in coverage. Plus he's as bad as any tackler I've seen with the Panthers. Probably believes he's a starter, which I'm sure he could for some teams, but IMO he's best suited as a rotational/depth player. He's one of those stop-gap guys who will probably be signed right before training camp. Solid point about the tackling. The Browns had big-time tackling issues last year, and it seems like the guys we've added are good tacklers. Makes sense why we would pass on Boston. So bias, and when Blaine Gabbert creates turnovers he’s a liability. Gotta wonder if he’s a problem in the locker room or thinks he deserves a 50 million dollar deal, because he’s too good to not be on a roster. I think he wants more than he's worth. I likened him to Mike Mitchell in the Steelers Forum. Great front 7? Good safety. Average from 7? Below average safety. Problem is teams know that, so they won't pay him that much. 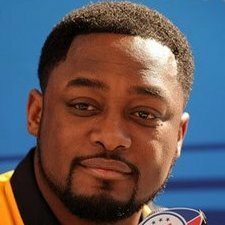 Teams that want Boston may not want to lose a comp pick so they will wait until after the draft. That could be the case for Suh and Wilkerson and others. They may change the rules on that. Do the Rams and Packers not get a pick now if teams wait? Are you talking about 2020? Well....I mean its because its pretty proven giving a QB 25+ million a season is not a great idea to build an overall championship team with long term success. Meanwhile we just watched a SB with a QB on a rookie contract and another who is notorious for taking less than his market value. Giving a top 12 QB top 3 QB money because you want to have a 'franchise quarterback' is digging your own grave. If you can convince your young 'franchise QB' that taking 18-20M per year + endorsement money is a great way to live a lavish live but also gives the team room to field a competitive longterm team---then your in business. Its when every top 12 QB in the NFL wants to become the highest paid QB in the league when their deals are up is where problems happen.....like Carr, Stafford, ect. 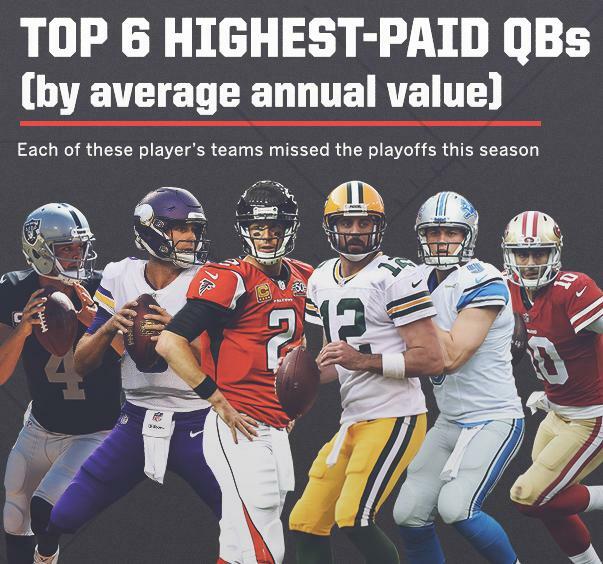 Who cares about average, I say these 6 highest paid QB's (against the cap) for 2019 will miss the playoffs this year.